An archaeological site where whisky was illegally distilled in the 1700s has been officially recognised as a monument of national importance. 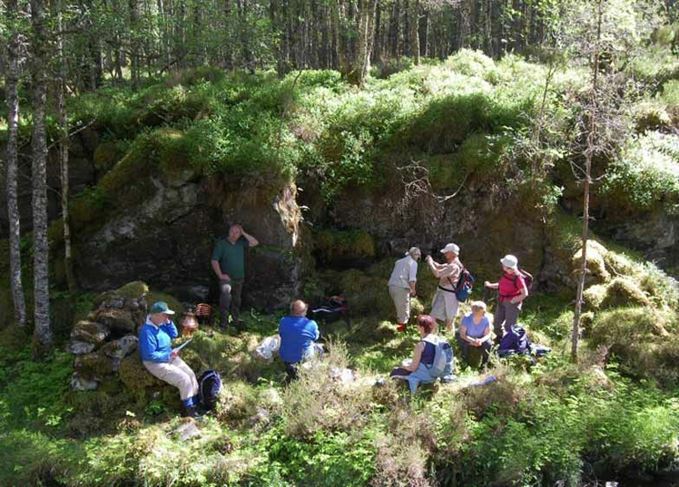 The site of the still, near Badger Falls in Glen Affric, was discovered by Forest Enterprise Scotland (FES) staff in 2008, and is now registered by Historic Environment Scotland under the Ancient Monuments and Archaeological Areas Act 1979. The footings of the building that would have hidden the still remain at the site, concealed by an overhanging rock face. Giles Brockman, environment manager for the FES team in Inverness, Ross and Skye, said: ‘Its location is very hard to get to and hard to find, and it would have been built at a time when only licensed whisky stills would have been approved. ‘If it had been a licensed still, it would have been somewhere much more accessible. ‘This particular site could date back to the 1700s and could shed light on the area’s past. The Excise Act of 1788 prohibited small household stills and prompted a high number of illicit stills to be built – illegal distilling across the Highlands was rife. When the Excise Act of 1823 came into effect, whisky distillation was allowed again for a small licence fee, and malt tax and whisky duty were cut. But, by the time the first Ordnance Survey map was made in 1872, the still at Badger Falls had been forgotten.